This article and some following articles will address this question. Rather than load you down with a long list of vitamins and minerals you may need all at once, we shall address two or three at a time. In this article I shall address what is probably one of the most important of vitamins and that is B12. That is not to say that others are not important, but some rank higher than others. It is estimated that 40% of people in the United States suffer from a deficiency of vitamin B12. A good portion of these are people who are retired. If you plan to keep an active lifestyle you should consider adding B12 to your list of vitamins to take. Yes, there are questions about B12. We address a few of the prominent ones below. You may ask if you get vitamin B12 with your multivitamin that you take. Most multivitamins do include B12 as part of the group of vitamins that they incorporate. You may have to shop among multivitamins to see just what percentage of the recommended daily allowance you get. Each of us will vary in the amount that we may need to have a sufficient amount to maintain the energy level we need. If you are very active you may need to take a supplemental B12. People who are not so active, for one reason or another, may not need the same level of B12. Another question quite often asked is one concerning vegetarians. Do vegetarians get enough B12 in their diet? The answer is, “No”. Vitamin B12 is not found in any vegetables naturally. If you are a vegetarian it would be wise to at least take a multivitamin that has B12 in it. If you are an active vegetarian it would be very wise to take a B12 supplement vitamin. Our bodies do not synthesize B12. Since B12 is a water-soluble vitamin it is not stored in our body. Since it is not stored, if it is not used at the time available it is washed out of the body through excretion. Because of this we must continually take in B12 on a regular basis. Typically we take in B12 through meat products that we eat. That is why I mentioned above that vegetarians should take some type of B12 supplement. 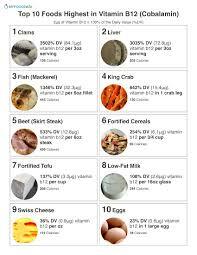 We can also get B12 by eating foods that have been fortified with B12. These are usually vegetable based foods that have had B12 added by one means or another. There are many kinds of means by which we can ingest B12 supplements. The coated tablet or gel type pill is probably the most common. We simply swallow it with a drink water or some other fluid. A popular form of getting B12 is the sublingual method. This is accomplished by allowing a tablet of B12 to dissolve under the tongue. This is supposed to be absorbed into the high concentration of blood veins under the tongue. A more efficient way is the one that mixes a B12 liquid with water and is drunk as a liquid. The B12 is coated with liposomes which are fatty coatings similar to the same substance that cell membranes are made of. Being coated with a fatty substance allows the B12 to pass through the acidic stomach and into the intestines before it is acted on by the digestive system. It is then absorbed into the bloodstream in the intestines and transported throughout the body. B12 is one of the most important vitamins a retired person should take. It ranks at the top of the best vitamins for retirees to take. To find out more and get one of the best B12 products on the market you can click on B12 @PuraThrive. Turmeric is a plant that has a very long history of medicinal use, dating back nearly 4000 years. 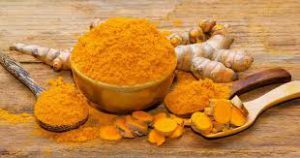 (2) Modern medicine has begun to recognize turmeric’s importance, as indicated by the over 3000 publications dealing with turmeric that have come out within the last 25 years. Turmeric binds to and dissolves abnormal proteins in the brain, helping to protect them from damage. It reduces one of the main factors of memory loss… Brain plaque. Studies confirm Turmeric is a powerful antioxidant. Antioxidants can fight free radicals and may reduce or even help prevent some damage they cause. Because it stops platelets from clumping together, turmeric may also prevent blood clots from building up along the walls of arteries. 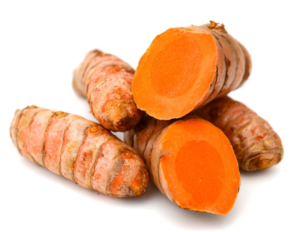 In its raw form the turmeric root can not be utilized by your body. The unwanted by products are extracted by suspending the root in a glycerin solution. Only the desired full spectrum turmeric is left. This is the substance that you take as your supplement. Turmeric is taken in the general way as most supplements are. It may be in the form of a pill in mixed in a liquid and drank. Considering the benefits that we noted above, turmeric should be one of the supplements among the best vitamins for retirees. As you get older you experience little aches and twinges that you used to not have. So, in looking for vitamins and supplements for retired persons curcumin is one that should be considered. When you overwork joints and muscles that are not usually worked much, you will experience pain. Most of us jump for a pain reliever. 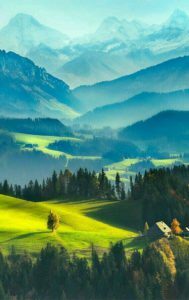 Sometimes the medicine we take for pain will cause us pain in another area. Instead, we should prepare for the situation by taking a supplement that helps our body to alleviate the pain. Curcumin helps keep chronic inflammation at bay. Inflammation is the core cause of most pain in our body. It supports healthy joint function and supports all around wellness. Retirees who wish to enjoy a long retirement should take such a supplement as curcumin. We shall let you digest the information that we have shared with you. There are links within each discourse above that will take you to where you can get even more information. In the coming days I shall post more about what the best vitamins for retirees are and what you should have in your cabinet.